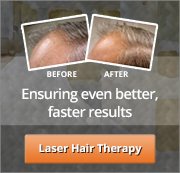 A Hair Restoration Solution you can trust! Wave goodbye to hair problems, thinning hair, alopecia, chemical damage – Virtuésse® helps women across the spectrum to look and feel beautiful and natural again. Totally care free, this high fashion non surgical wonder is totally natural looking reasonably priced, quick and easy. We offer a free hair and scalp evaluation worth as much as $250. We are the only studios certified to give you an assessment of your Annual Rate of Hair Loss (ARHL), so you can make a decision based on evidence. Ask us about our additional unbelievable $390.00 trial offer.